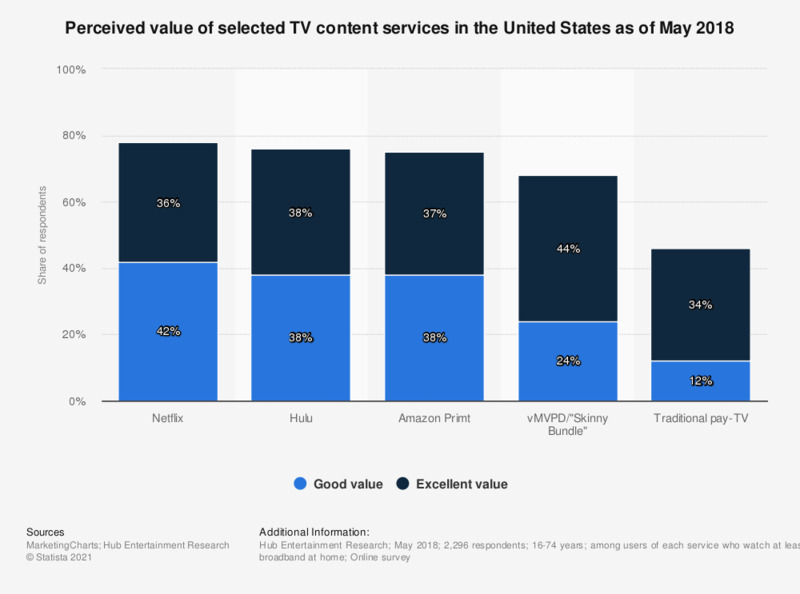 The statistic presents data on the perceived value of selected TV content services in the United States as of May 2018. During the survey, 42 percent of Netflix subscribers stated that the service was good value, while a further 36 percent said that it was excellent value. Have you watched full length shows, sports or movies online from any of these sources?